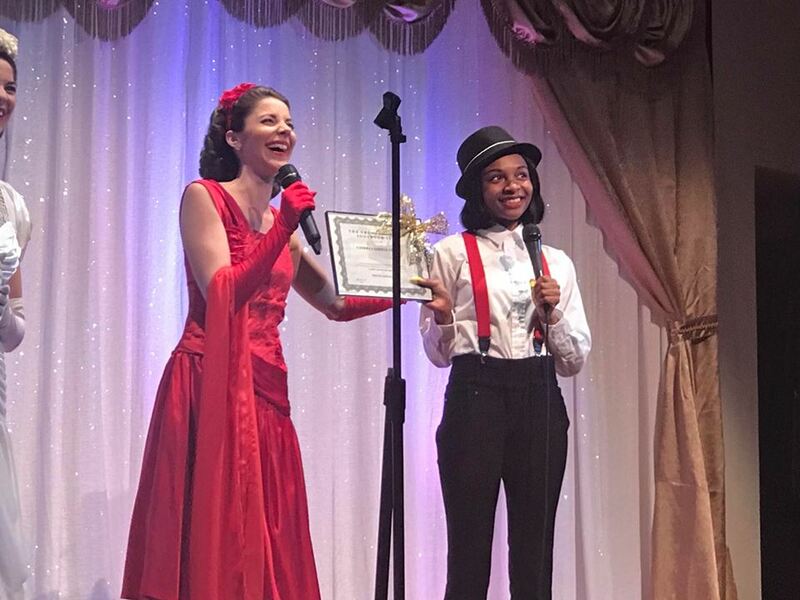 Video Auditions: 2019 Great American Songbook Star! Select a song from The Great American Songbook (1920s-1960s) that highlights your vocal or dance abilities and stage presence – think Frank Sinatra, Ella Fitzgerald, Judy Garland, etc. Vintage style attire is welcomed, but not required. Be sure that your face is not covered by a hat or hair. Complete application and include a link to a video of your audition (3 minutes max.). If your audition is selected, you will be notified of the exact date, time, and location of your performance. *PLEASE NOTE we are running the contest in both Fredericksburg, VIRGINIA (April 28th) and Charleston, SOUTH CAROLINA (TBD May/June Piccolo Spoleto Festival) – if you are willing to travel to either location, click BOTH on application. Performer responsible for all of their own travel costs – 2 comp tickets will be made available for parents/guardians. Small honorarium, 2 tickets to show, achievement certificate, and featured performance in The Gracie & Lacy Show.